When I came in fresh out of college, as a junior member of an engineering team, in order to ramp up and be productive I was always looking up to established engineers for their understanding of procedures and technical advice. By definition, they were the experts and I was an apprentice. I think this is a very common situation in many different professions and in a way it is how our society functions. In almost every culture around the globe, the elder generations are treated with respect. It is because of this ingrained social norm that I was shocked when I saw “Soylent Green” for the first time and along with Charleston Heston discovered that the elderly are being ground down into pellets to provide nutrition for younger generations. Ever since I have been a little kid, I have always been told to respect my elders and to listen to them because they “know better”. I have looked up to my teachers at school, let my thesis be guided by my professors at college, did an apprenticeship with a veteran comic book artist, and have been mentored throughout my engineering career by scientists who have had lots of experience in their fields. It seems that my experiences confirm the benefits of paying attention to the advice that is being given by subject experts. However, we are all human and when an expert in their field gives advice to an apprentice, there is more involved than the purely technical transfer of information. Whether you are designing a circuit, buying gallery art, investing money, or guiding your career…listen to the advice of experts in your field, but always take it with a grain of salt and make your own decisions. The reason for this is: expert advice can be just as wrong or misguided as a novice making a decision by flipping a coin. This has been brought home to me in a major way recently when I got interested in the scandals involving forged paintings. The thing about forged paintings is that someone has to paint them (and they have to be pretty good to look like masterpieces), but then somehow the fakes have to be introduced on to the art market and someone has to certify that they are genuine. This certification is done by the authorities on the subjects and without it, no one is going to spend millions of dollars on a painting that is supposedly by a master. 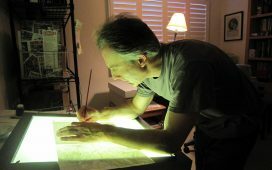 A perfect example is the case of Han van Meegeren, who has painted in the style of Johannes Vermeer and was very clever in the way he “aged” his canvases and paint finishes to pass any radiation and/or chemical tests to date the hoax. One of the fakes that he painted was shown to Abraham Bredius, who had dedicated a great part of his life to the study of Vermeer and was one of the most authoritative art historians of his time. The painting was called, “Christ and the Disciples at Emmaus” and after viewing the fake painting Bredius wrote an article in the Burlington Magazine, the "art bible" of the times, in which he stated, "It is a wonderful moment in the life of a lover of art when he finds himself suddenly confronted with a hitherto unknown painting by a great master…”. He went on to praise the fake and because he was an expert, not only did everyone believe him, the painting sold for a record price at auction. Later on, when van Meegeren was caught for a different offense, he decided to come clean and pleaded guilty to a lesser offense of fraud, which initiated the unraveling of his fake masterpieces business. 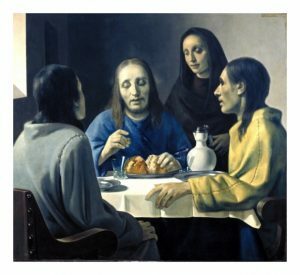 He has admitted to painting 5 Vermeer “masterpieces”…all of which have been accepted with open arms by “experts” and resulted in record-setting auctions. To be fair not all art experts agreed that van Meegeren paintings were authentic, but the most senior tastemakers united front and derided the opinions of the more junior staff. I was so fascinated by this failure of field experts to identify an outlier that I started looking for other cases of “misfired” expert opinion. I didn’t have to look far, in fact, it was a case of blind trust in the expert opinion that I personally witnessed unfold on the news feed. It was 2008 and the country was on its way to sliding into economic recession when the news hit that the hedge fund managed by Bernie Madoff was a huge pyramid scheme that took in as much as 18 billion dollars and, even though on paper represented a worth of over 60 billion dollars, was worth…NOTHING. The origins of Bernie Madoff’s scheme will be debated for years to come, but definitely, he was considered to be a guru of Wall Street and thus was a money making “expert”. But, Madoff never actually talked to the thousands of people who have invested their money into his account. He worked with banks, who worked with financial investment firms, who worked with hedge fund managers, who worked with individual personal finance advisers who spoke directly to individuals and said: “Trust me on this, it is a good and safe investment.” Most of the individual rank and file investors didn’t even know that they were investing money with Madoff, they trusted the advice of their “local” experts and gave them a check. Hindsight is always 20/20, and it is easy to look back on this situation and pronounce a judgment that the investors should have done their own due diligence investigation before handing over their retirement savings…sure, that would have been the right thing to do, but I had to stop and think about my own life experiences to see how I handled expert opinions that were presented to me. I was 23 when I purchased my first “grown-up” car. It was a brand new sedan…that is not manufactured anymore because it was discovered they were unsafe a few years after they were introduced. It was a $12,000 purchase and I was in the car dealership office signing paperwork. The salesman, as an expert, recommended I should also add a $200 option to safeguard the seats. “Trust me on this”, OK, done. Later, I actually saw the safeguard option being implemented. A teenager, using a $5 upholstery protect spray can took care of all 4 seats in 5 minutes before handing the car over to me. Bad. A few years ago I got a comic book script from a well-known writer. I was just as excited as the editor about working with the established name writer. And the script was good, but as I read through it I thought there was one part that might be confusing to a reader. One of the characters changes clothes and is a shadowy figure monitoring some goings on, before putting back his costume and becoming again easily identifiable. This was not a big deal, it could have been explained with an extra sentence or even just one extra panel and I brought that up to the editor. The editor was so in awe of the writer that instead of making a decision, he referred back to the writer. The writer came back with “Trust me on this”, OK, done. I drew it per script. Once the story came out and got reviewed the biggest problem was that the readers were confused by the scene that I had doubts about, and it ruined their whole reading experience. Bad. 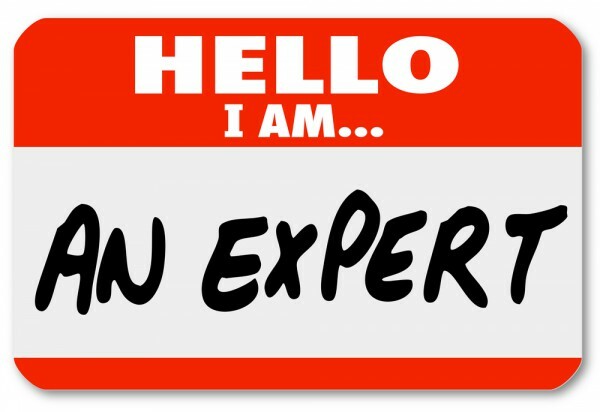 There are some experts we should trust...right? I would be remiss if I didn’t mention that there were also times when, without thinking, I threw myself at the mercy of “experts” and it worked out pretty good. But as I thought about these and other, “good” and “bad” experiences with experts, I started seeing a pattern. If an expert gives you a direction, or their opinion, and backs it up with “Trust me on this.”…check the facts and check your intuition, before blindly accepting the advice. The real experts are the folks who deeply know their area of knowledge and can see every new situation from multiple angles. They don’t ask you to blindly trust them, they give advice, share experiences, present relevant data, and above all they are always able and willing to explain their opinions. And before you spend $5,000 on a bottle of wine, just because someone tells you “Trust me on this.”…do some fact checking. 6 Tips On Getting Funding for Your Engineering Research Your Next Project: What’s in it for me? What Skills Are Required for “New-Collar Jobs” in Manufacturing?